Abuja, 26th July 2018. The Commission of the Economic Community of West African States (ECOWAS) has commenced the review of its baseline study which seeks to integrate gender dynamics into its peace and security architecture with emphasis on the control component of small arms and light weapons in the region. 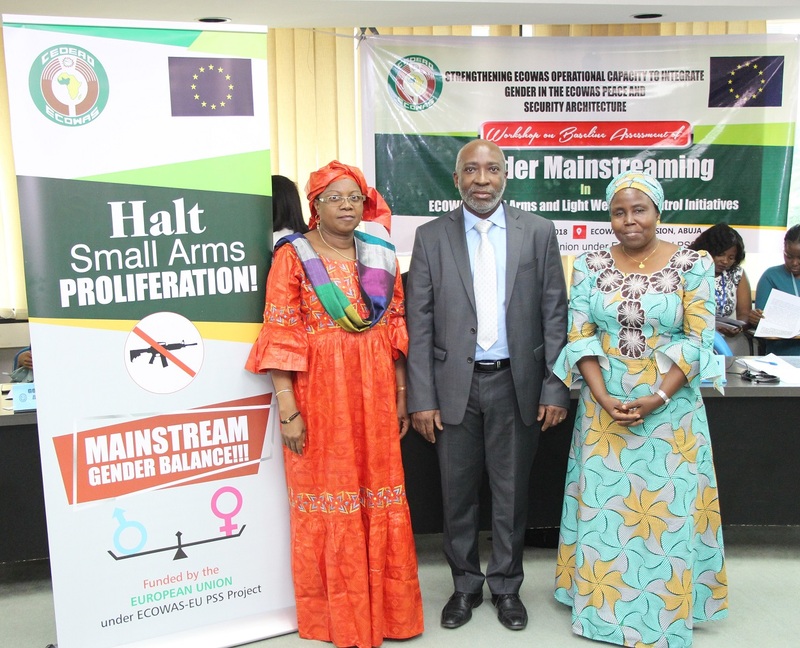 In a two day meeting which started on Thursday, 26th July 2018 in Abuja, Nigeria, the head of the Commission’s Small Arms Division, Mr. Joseph Ahoba, who represented General Francis Behanzin, the Commissioner for Political Affairs, Peace and Security, stated that it is important to mainstream gender balance in the plans and processes of the peace and security sector with special focus on the control and illicit proliferation of Small Arms and Light Weapons (SALWs). ‘The effects of conflicts, crisis and security affects both men and women but on the whole, women are at the receiving end of the worst impacts of these situations’ he said. 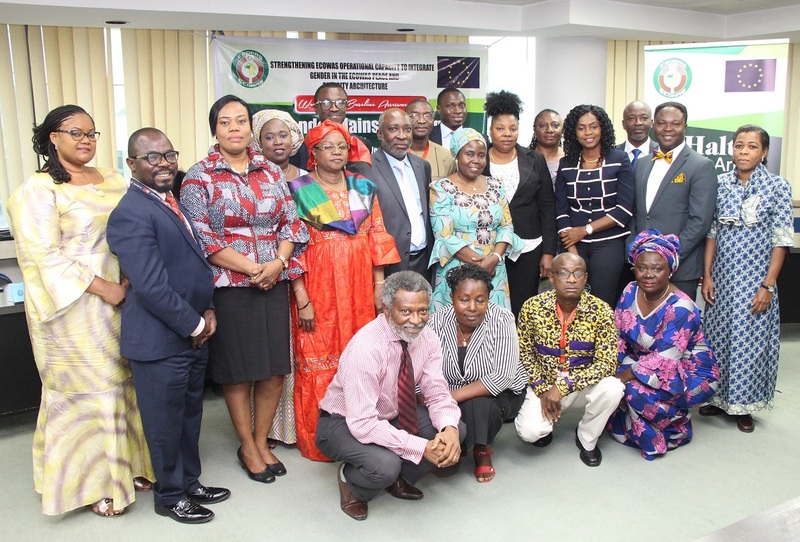 ‘Hence the Small Arms Division of the ECOWAS Commission has collaborated with the United Nations (UN) in order to increase the involvement of women in peace and security processes as stipulated by the UN resolution 1325’, he added. Experts and representatives from ECOWAS Member States, Civil Society Organizations and International organizations will assess the knowledge, attitude and practice of existing global and regional policies and frameworks on gender in order to promote the understanding of its dynamics to SALW Control, Disarmament Demobilization and Re-integration (DDR) and facilitate its incorporation into interventions at the regional and national levels. 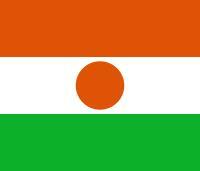 The baseline study on the integration of gender dynamics into the ECOWAS Peace and security architecture is part of the European Union Support to ECOWAS Regional Peace, Security and Stability Mandate Programme (EU-ECOWAS PSS Project).